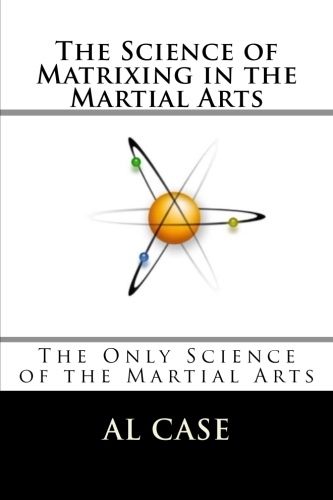 Martial Arts Chi Power Secret is Revealed! Martial Arts Chi Power is Easy to Grow! 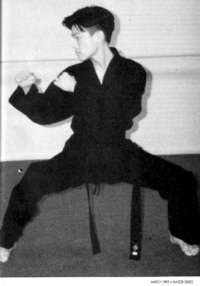 Martial Arts Chi Power is the biggest mystery in the fighting disciplines, and this is only because it is misunderstood. 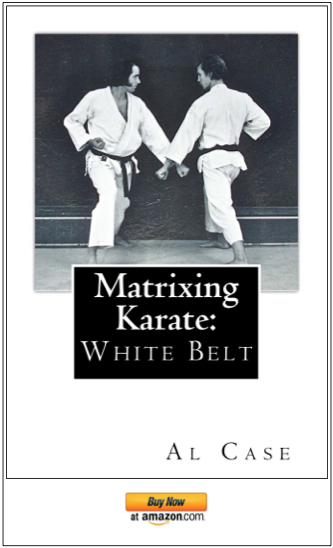 Martial Arts Power, Chi or Ki, follows certain rules and is very empirical in nature. In fact, when explained in certain terms of Western physics it is no mystery at all. In the following article I have made analogy to reveal this. Please understand that I have ‘Watered down’ concepts for the purposes of this article. I recommend that you find simple books on electricity, physics, and so forth, for fuller and more correct understanding. Martial Arts Chi Power emanates from the Tan Tien. A motor is a machine for the conversion of any Energy into mechanical Energy. A Motor requires several things to make it work. It has to be solidly based (bolted) or otherwise able to resist the forces which it produces. It has to have a positive input and a negative outflow. Strength doesn’t actually have much to do with muscles, but rather with gained awareness of the body. Want to increase your Martial Arts Chi Power? Take a stance and begin ‘Grinding’ your body back and forth between the legs. Concentrate on the Tan Tien and working the legs against each other so as to increase resistance within the body. Increased resistance necessitates increased Energy, and produces increased Energy. As you do this try to figure out which leg is positive and which leg is negative. Thus your whole body becomes a motor. 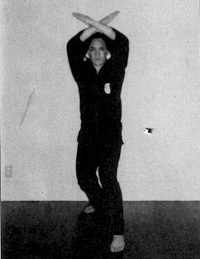 Once the Martial Arts Chi starts to come from the Tan Tien it can be directed elsewhere in the body to increase the body’s abilities in a variety of ways. The arms can be positive or negative, and in various combination of such. The body can be ‘Coated’ with Energy to make it more impervious to an attack (an attack is an attempt to ‘Overload’ the body with Energy.) Energy can be directed through various organs in order to strengthen and make healthy those organs. In this last instance the Energy is actually secondary to Awareness as an agent for curing, rehabilitating the body, and so on. Interestingly, strength, in this particular instance, doesn’t have much to do with muscles and such, but rather with gained awareness of the body. To understand this one has to understand that there are levels of Energy. Gross Energy is merely the fuel burning process. Refined Energy is the ability to channel Energy through the body. Have somebody press on an arm and channel the pressure they exert on, and the weight introduced to, your body through your arm, through your body, down your stance, and into the ground. Ultimately Energy becomes a concept of increased awareness, and thus great confusion can result. 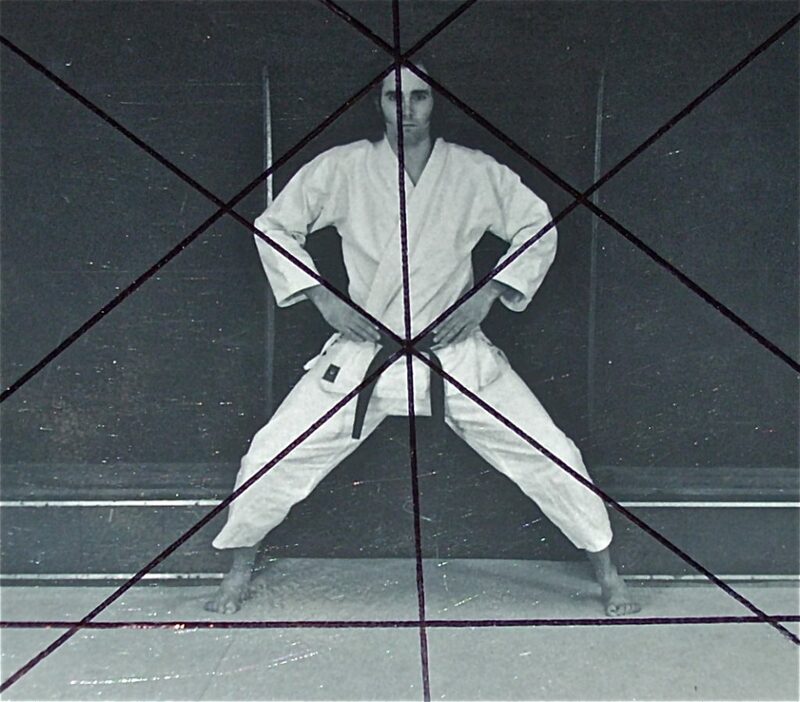 Confusion results because Martial Arts Chi Energy is directed by Awareness, and Awareness is not Energy. The dependancy of Energy upon Awareness tends to confuse people. When people finally gain the ability to channel Energy through the channeling of Awareness they begin to think of Awareness as Energy. Thought is not necessarily Energy. Thought is Thought, and that is all. Energy can be manifested from the Tan Tien in two specific ways. There is the Explosion, which is the sudden release of Energy. And there is the Flow, which is a continuous and steady outpouring of Energy. The difference between an Explosion of Energy and a Flow of Energy is one of lengthening the time of the Explosion. Interestingly, these two types of Energy creation are interrelated to the concept of Space, or ‘Emptiness.’ The more emptiness the more a person can be aware of the more Energy can be appreciated, and thus created. Actually, this is more a matter of perception than anything else. Once the Energy has been exuded from the Tan Tien it can be used in a several different ways. It can be used as a ridge of Energy, which feels solid to the person it is impacted upon. It can be used as a secondary Explosion within a body part, such as a fist. It can be used to propel the body through space. It can be used in various arrangements which include all of the above, plus much more. Interestingly, an Explosion creates a wave of Energy which tends to hide perception. After all, it is difficult to look into a sudden, bright light. And it is difficult to remain perceptive when a sudden wave of Force is moving towards you. The instinctive things to do, at least until one has been trained to remain analytical in the threat of such an explosion of Energy (violence), is to cover up and hide, present an opposing Explosion and resulting wave of Energy, make the body rigid, etc. 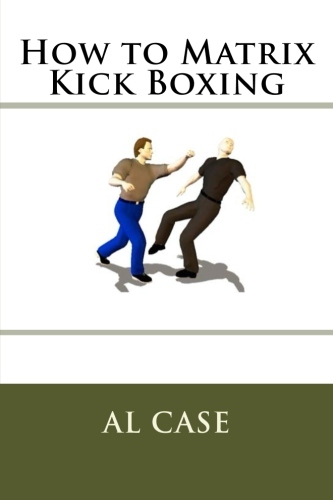 A person who can keep the body from reacting to a threatening explosion will have a great advantage in a fight because of his increased ability (or at least maintained ability) to percieve and analyze data. 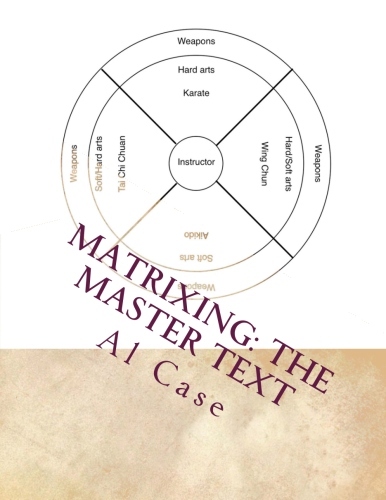 If one wishes to increase the body’s natural abilities with martial arts chi power there are specific things one may do, and these things have been well thought out within the various traditional Arts. Breathing into the Tan Tien creates more Energy. Air doesn’t actually reach the Tan Tien, but a ‘Wave of Awareness’ does. This Wave of Awareness puts the Tan Tien into high gear. Individual body parts, such as arms, may be filled with Awareness and thereby strengthened through a variety of methods. 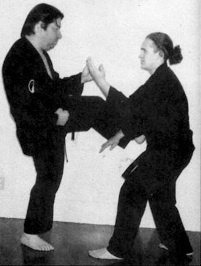 One method would be to pit one arm against another, which creates resistance between the arms. 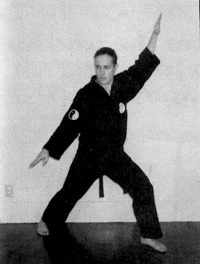 Another method would be to tense the arm against itself by flexing. Most people are capable of this, but only on a low level of Awareness. Another method would be to twine the muscles around the bones, again, increasing tension and awareness. Really, there are as many ways of increasing strength and Energy as there are ways to arrange body parts in opposing situations to various items both inside and outside the body. Incidentally, if the workings of a body are dependant upon external resistance and/or(?) Energy Explosion the Art is termed External. If the workings of the body are dependant upon internal resistance and/or(?) Flow the Art is termed Internal. A True Artist, of course, will work on all potentials and, ultimately, all Arts will be the same. Incidentally, weightlifting depends upon a flow of Energy between a point outside the body, and a specific body part. It also depends upon ‘Backing’ up Energy so that the body part becomes thickened. This is great if you are dealing with specific type of Energy. Explosions may be enhanced, certain types of Ridges may become stronger. Unfortunately, Flow is hindered, and perceptions also back up. This doesn’t mean weightlifting is bad, just misunderstood in the larger context of Energy. There is much work to be done with this concept before it becomes fully usable. In closing let me say that when one begins a course in the True Arts when is invariably introduced to the concepts I have mentioned here, though they often seem much more mysterious than they really are. But one who takes the time to get a dictionary and look up terms that have to do with electricity and physics and that sort of thing will find that the ‘Mysteries’ of Chi are better understood and much more easily utilized than has been previously appreciated. Understanding something before you do it will always decrease the time necessary to ultimate Mastery of that thing. 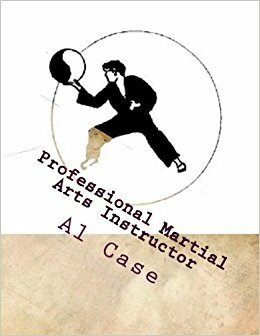 Do be aware, however, that all understanding of Martial Arts Chi Power must be applied through hard work and sincere desires. The course on Matrixing Chi Power gives a detailed, step by step on how to put out a candle using chi power, with just a flick of the fingers, from over a foot away from the candle. 6 Responses to Martial Arts Chi Power Secret is Revealed!